One would think that after the magnificent 10th anniversary edition, the organisers of the Bikers’ Classics would find it hard to do better than that. 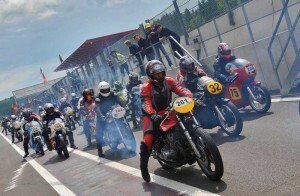 Yet the 2013 edition, which will take place on the track of Spa-Francorchamps on 5, 6 and 7 July, seems to become one of the most interesting editions ever. 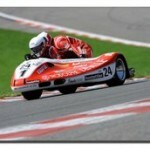 Not only will the many fans of classic bikes be able to enjoy the 500cc Grand Prix parades, they will also be able to feast their eyes on the most amazing sidecars in history. 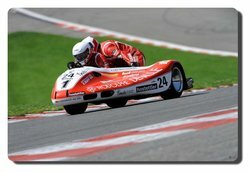 The great stars from the past will once again be there aboard the most powerful Superbikes from the past. And that’s not all…The riders/owners are really in for a treat! On top of the several runs on the new track, they will also be able to make a lap on the old, mythical track, just like in 2012. On Saturday, just before the start of the 4 Hours of Spa Classic, they will be able to (re)discover the 14 km of the famous Belgian Grand Prix. An intense moment, full of emotion, which no one will want to miss out on, not the amateurs and surely not the champions ! 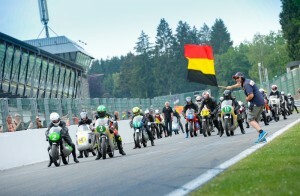 A well-filled programme, featuring also a static exhibition of the Grand Prix motorcycles from the fifties and sixties. A most magnificent exhibition, which will allow you to admire the most exquisite pearls from two decennia of Continental Circus.